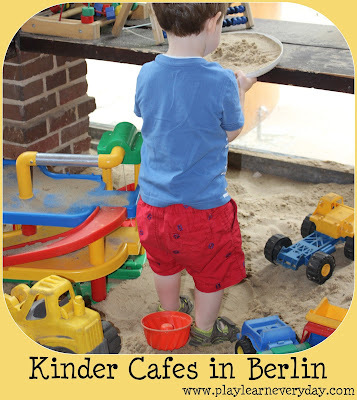 Today we went to a couple of different Kinder Cafes in Berlin. They are so fantastic! 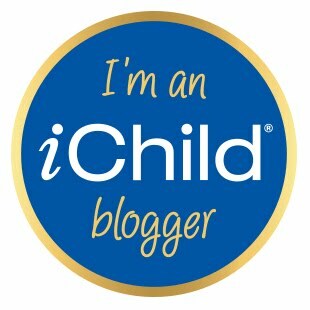 The first one had a whole soft play climbing frame, as well as other toys and a baby area with a ball pool. The second one that we went to had a large outdoor area with plenty of ride on toys and even an indoor sand pit. There were lots of opportunities for Physical Development with climbing, peddling, digging and jumping. Ethan loved both Kinder Cafes that we visited. It was difficult to convince him to leave! He played in the soft play area for ages, cautiously at first and then much more confidently. He loved all of the ride on toys, he's always loved the little cars but this was his first opportunity to try out some bikes and tricycles and learn how to pedal. He also had a lot of fun playing in the sand pit, digging up the sand and filling up different toys. I would definitely recommend a visit to the kinder cafes to anyone visiting Berlin.